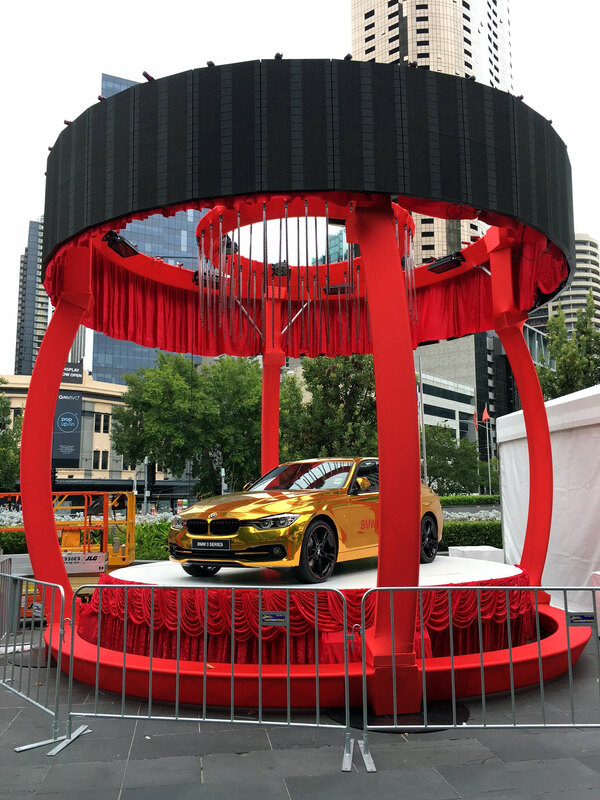 NextGen Rentals uses curved CLS Stage Deck and curved Alloy Tri Truss to good effect. 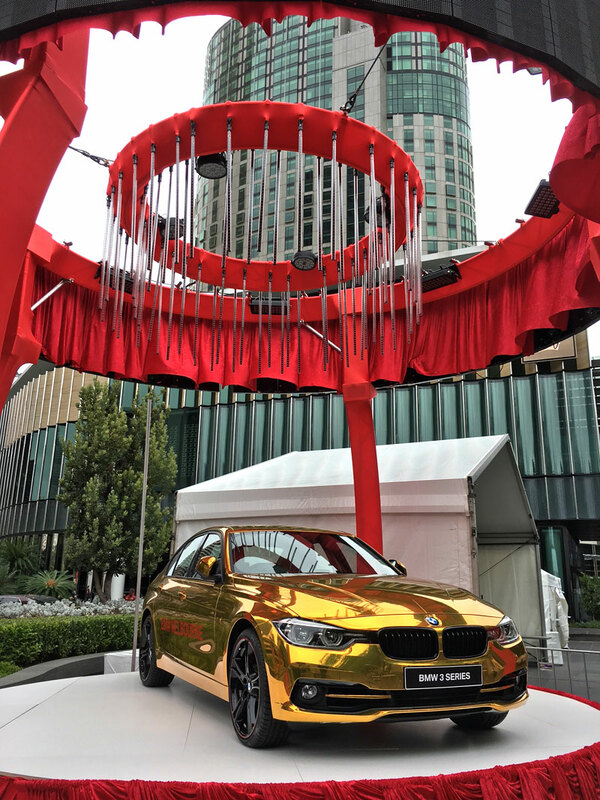 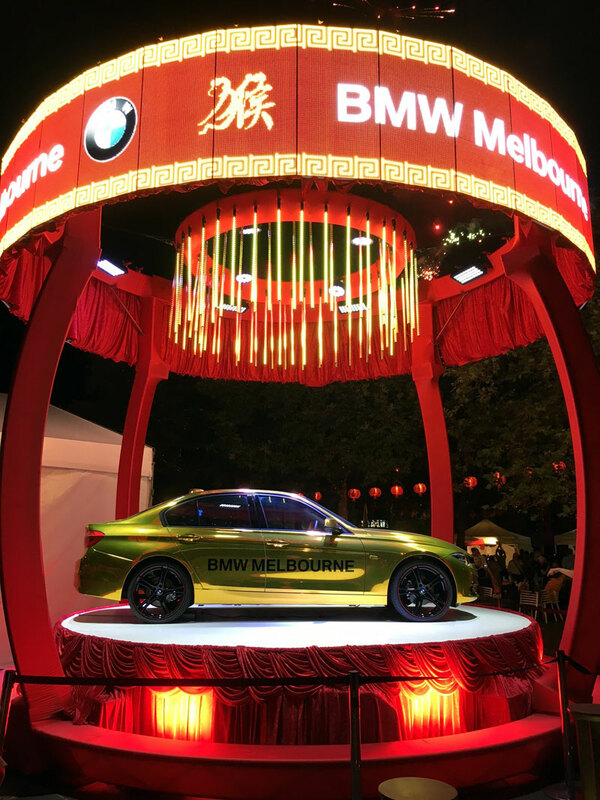 CLS's curved 300mm Alloy Tri Truss sections used in combination with 6 way cubes and custom 22.5Deg wedge section form a Chinese Lantern look for BMW's gold car display at Crown Casino for Chinese New Year celebrations. 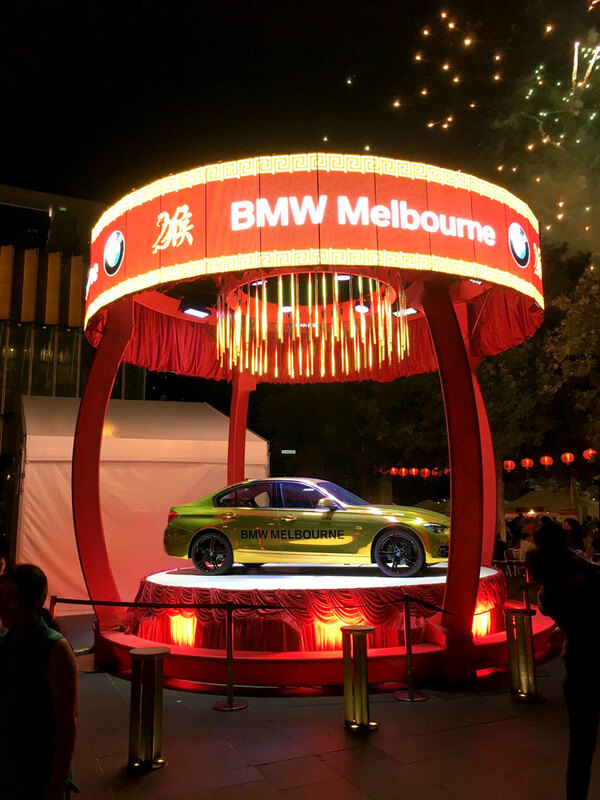 CLS manufactured eight segments of curved Stage Deck to build this 5.1M circular stage.